San Diego, California is regarded as a major economic, healthcare and biomedical centre. It is also home to various sectors like the military, international trade, tourism and information technology which contribute to the economy of this city. This has created a lot of opportunities for those who have done the CSD certification in San Diego. The KnowledgeHut Academy conducts the workshop and one can enrol for the program at a very reasonable fee. The CSD certification in San Diego is a five-day workshop. Highly experienced individuals provide the CSD training in San Diego. The first three days of the course are dedicated to a technical training course. One day is dedicated to understanding various scrum fundamentals and principles which give the participant an in-depth understanding of Scrum. The last two days focus on completing the certified scrum master certification. The CSD course in San Diego involves various interactive sessions to ensure complete understanding of the core principles. 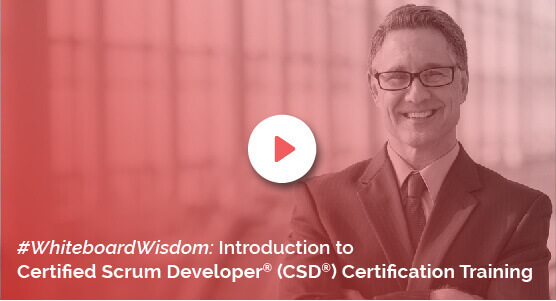 The Certified Scrum Developer certification in San Diego is ideal to be taken by those in the IT sector, Individuals with a certification will have an edge over their counterparts. Business analysts, QA testers and product managers will also benefit from the lectures. At Knowledgehut, the trainer conducts rigorous practice sessions to make you understand the basics of the course. You get 40 PDUs and 40 SEUs after you complete the 5-day programme at the institute. You are also given 100 days of free access to the agile and scrum e-learning programme. The Certified Scrum Developer certification in San Diego by KnowledgeHut is delivered using classroom training that blends easy accessibility with a cutting-edge online learning platform. To learn more about the learning methodology and platform of KnowledgeHut’s SCSD training in San Diego, register for a demo session today.